A freshly squeezed juice - full of vitamins and wholesome goodness - is a drink that can be enjoyed all year around. In winter, it can help counteract all the cold and flu germs that are hanging around - and in the warmer months, it is simply a refreshing drink to keep you healthy from the inside. If you are looking for a quick takeaway option, there are several Boost Juice and Top Juice locations around the city, with a wide range of immunity-boosting ingredients and flavours to choose from. 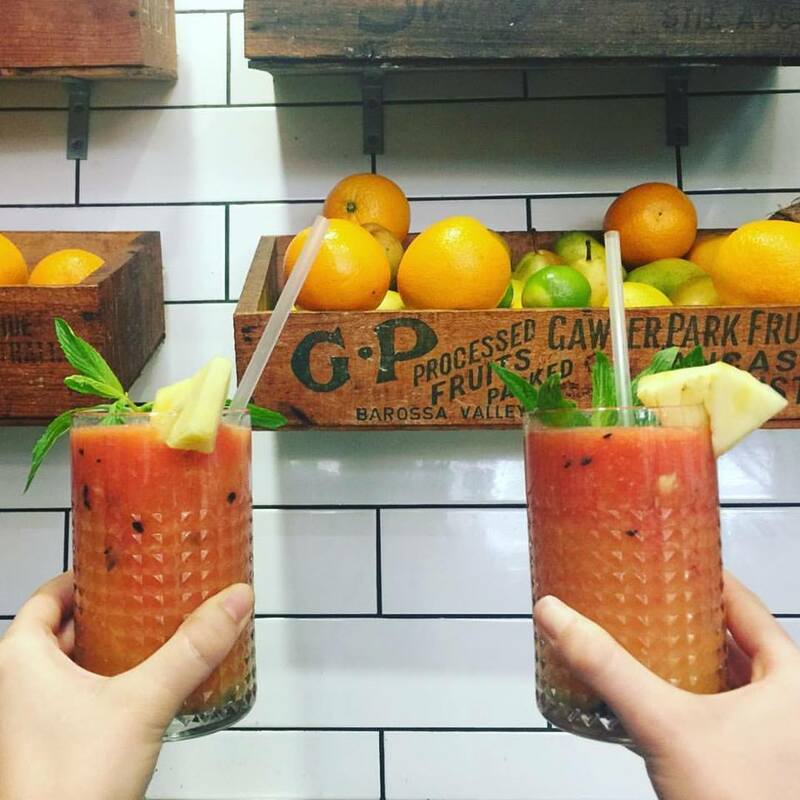 If you enjoy visiting some of Canberra's local cafes, there are also numerous places where you can have breakfast or lunch with a freshly squeezed or pressed juice. The following are some of the ones we have discovered, however if you have another favourite, please add it to the top of this article. You can never try too many! 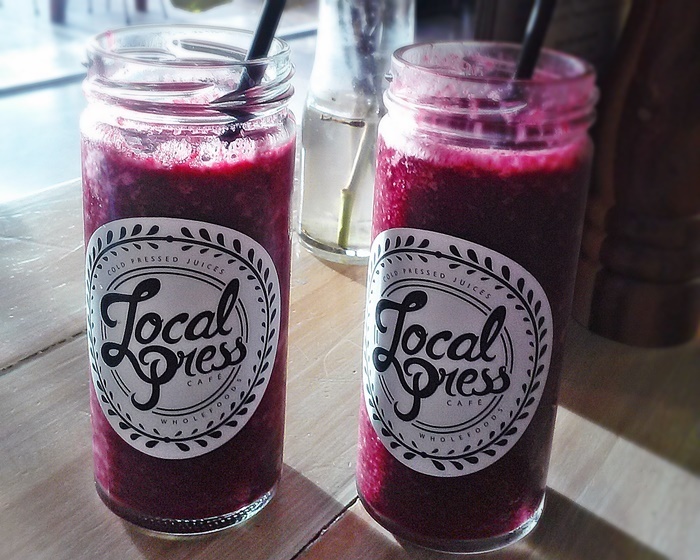 Local Press is a wholefoods café, which can be found along the scenic Kingston Foreshore, just minutes from the city. It has quickly made a name for itself with its delicious, healthy menu and range of cold pressed juices (in cute little jars!). At the time of writing, the flavours at Local Press are "Orange, mandarin and lemon grass", "Kale, kiwi, cucumber, green tea, lemon and green apple", "Watermelon, strawberry, rhubarb, hibiscus, mint & lime" and "Beetroot, carrot, celery, silver beet, pear and ginger" ($6.50). See here for details. Fox and Bow is a small café, located in the Farrer shops in Woden. This local's café is one of my personal favourites, with consistently delicious food and great service every time. Next to Fox and Bow is a colourful mural which draws your attention throughout the meal, creating a creative and positive atmosphere to this cute café. They also offer a range of smoothies and juices - with the two juices on offer the "Ed Sheeran - with carrot, ginger, celery, turmeric & orange" and the "Sam Pang - with watermelon, orange, pineapple, passionfruit & mint" ($8.90) - with the Sam Pang a particular standout! See here for details. Bookplate is located inside the National Library of Australia. It is more than just a café, as it has floor-to-ceiling stain glass windows which are also a piece of art, created by artist Leonard French. During the summer months, there is nothing better than sitting on the Bookplate outdoor terrace overlooking Lake Burley Griffin, with a freshly squeezed juice in hand. At the time of writing the flavours are "Knuckle Duster - with orange, carrot, ginger and lemon", "Super Green - with kale, apple and celery" and "Watermint - with watermelon, lime and mint" ($8). See here for details. Sweet Bones is a vegan and cruelty-free café, located on the popular Lonsdale Street in Braddon. 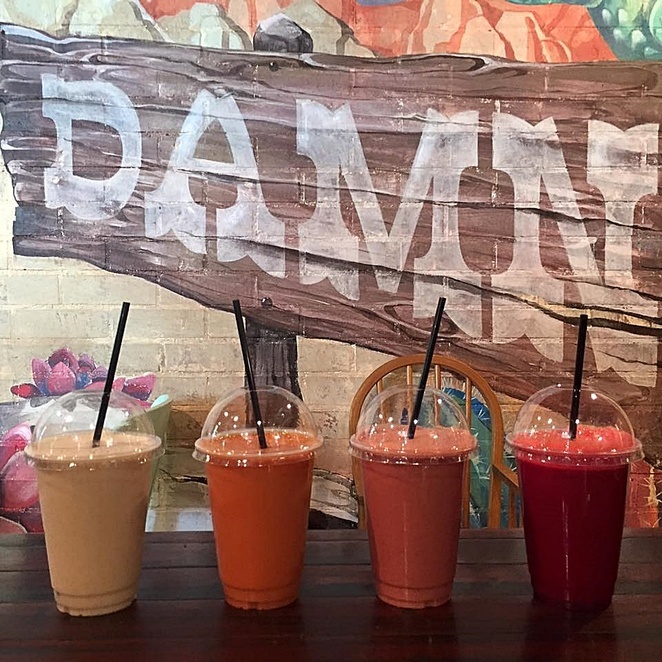 As well as healthy vegan menu and delicious baked vegan treats, they are also renowned for their range of juices and smoothies. At the time of writing, their juices are "Immunity - with carrot, apple, lemon, ginger and beetroot", "Alkalizing - with cucumber, apple, parsley and lime" and "Mean Green - with kale, celery, cucumber, parsley, green apple and lemon" ($8.50). You can't go wrong with any of them! See here for details. Dobinson's is a bakery and café located on the busy Bunda Street in the CBD. Breakfast is particularly popular on weekends, as the meals are well-priced, the servings are generous and the coffee is hot. In the warmer months however, the freshly squeezed juices make a comeback - especially with the kids. At the time of writing choose between the "Healthy Start- with apple, celery, carrot, cucumber and lime" and "Fruit Cocktail- watermelon, mango, pineapple, orange and mint" ($7). See here for details. Eighty Twenty is a healthy café along the popular Lonsdale Street in Braddon, just a few minutes walk from the CBD. The name Eighty Twenty relates to their philosophy of eating 80% healthy and allowing 20% for treats. 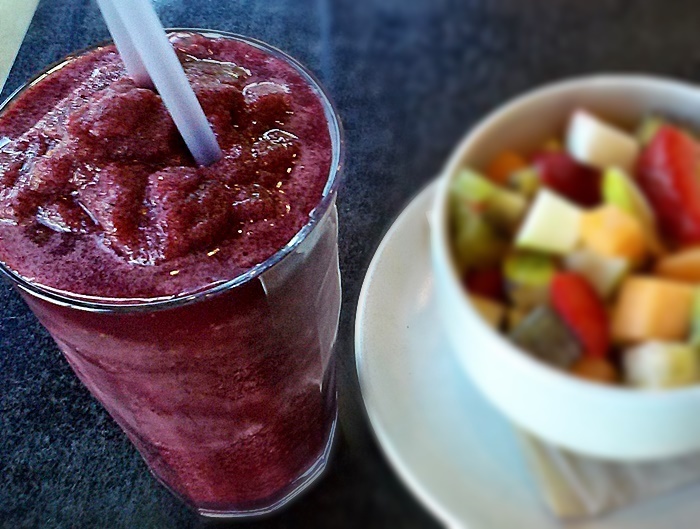 Their smoothies and juices are particularly popular, with each one full of visible ingredients and a punch of flavour. At the time of writing, they have "Popeye - with kale, spinach, spirulina, kiwi, coconut water & apple juice", "Glow Pro - with acai, blueberries, raspberries, coconut flesh, ice & honey" and "Refresher - with cucumber, mint, mango, spinach & coconut water" ($8). See here for details. Freddy Frapples may not be a household name around Canberra, but this juice bar and grocer at Cooleman Court in Weston Creek, is well known with the locals. Their juice bar offers the cheapest juices in the city, with a small juice costing $4, medium costing $6 and large costing $7. As this grocer has been in the business for 25 years, they select the best fruit from their fruit and vegetable display for juicing. Choose between "Tropical Breeze - with pineapple, watermelon, orange, grapes and berries", "Freddy's Finest - with orange, pineapple, celery, carrot and apple", "Tasmanian Turbo - beetroot, celery, orange, pear and carrots", "Fiji Fresh - with apple, lemon or lime, orange, ginger or grapes", "Exotic - with kiwi fruit, pineapple, mint, watermelon and berries" and finally "Veggie Samba - with beetroot, celery, carrots, spinach, cucumber and ginger". With a wide range of creative salads available, this little takeaway and juice bar is the perfect spot for a quick and healthy lunch. See here for details. 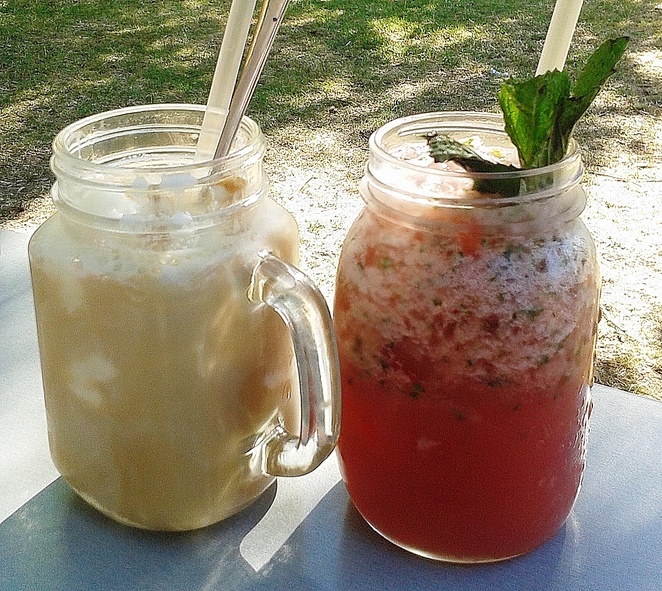 For more delicious juice options, also check out Maple and Clove (Barton), Jo's Juice (Old Bus Depot Markets), Blue Olive Café (CBD), Ivy and the Fox (ANU), Organic Kitchen (Griffith), Penny University (Kingston), The District (Crace), The Knox Made in Watson (Watson) and Little Oink (Cook), to name a few. Canberra is fortunate to have so many healthy cafes, juice bars and a health-conscious focus to the city. With thousands of people hitting the pavements each morning and filling up the gyms, having a freshly squeezed or pressed juice to start the day is the ideal way to stay healthy, in all seasons. On a hot summer's day, why would you want anything else?